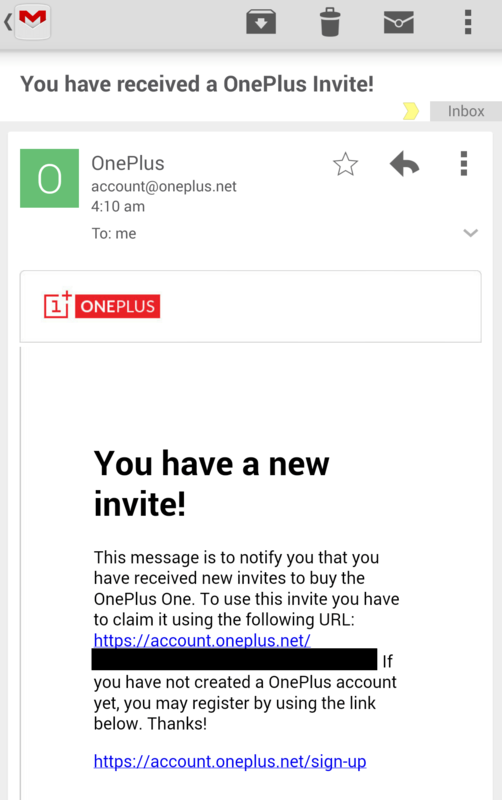 At the end of April OnePlus announced the release time frame for their controversial invite system. While the type of devices released has changed (they are focussing on the 64GB phones only at this moment in time), their time frame has not. Last week they announced via their forums that invites to contest winners and early supporters will start rolling out on the 6th of June. True to their word those invites started hitting those lucky people’s inboxes around 4am this morning (it was still the 6th somewhere in the world). We are still waiting on one major software fix before we ship the phones so I can’t say for certain how many days it will take for the phone to ship. You can certainly place your order for the One now and it will ship as soon as it’s ready. Alternatively, you can wait until I send you final confirmation of what day we can ship. This is our first major shipment and the delay in shipping time does not reflect what future users will experience. Please get in touch with questions and have a great weekend. So while the phone isn’t quite ready for shipping the ability to basically pre-order, with the invitation in hand is a step in the right direction. It is also good to see OnePlus looking to perfect the software before selling the phone to the masses. In the future they expect the phone to ship within 24hours to the buyer. The invites at this stage seem to have a variable use by date, with 24 hours expected to be the standard in the future. 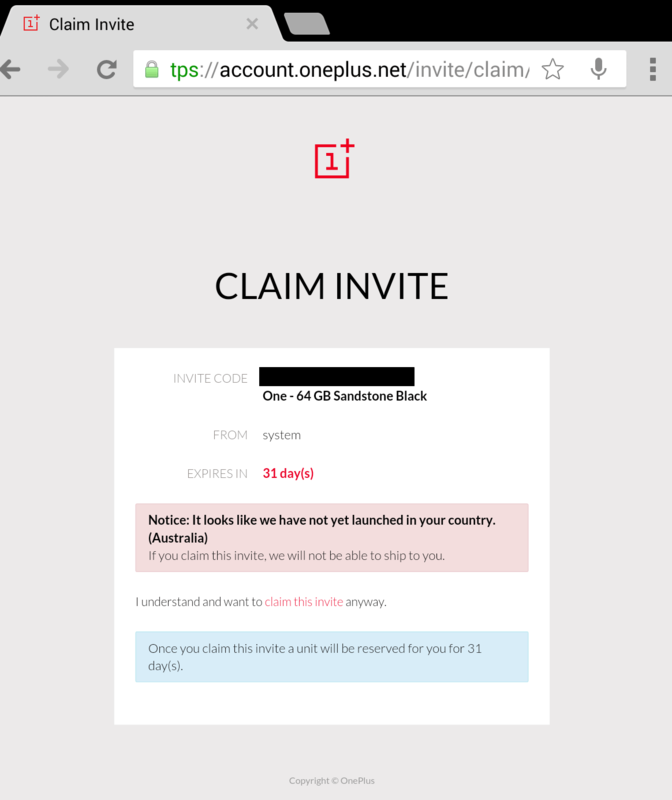 While the invite recognises your location as Australia you can still log in and purchase a OnePlus One as long as you have an address to ship it to that is in a launch country. The billing address can still be Australia but the shipping Address must be in that launch country. 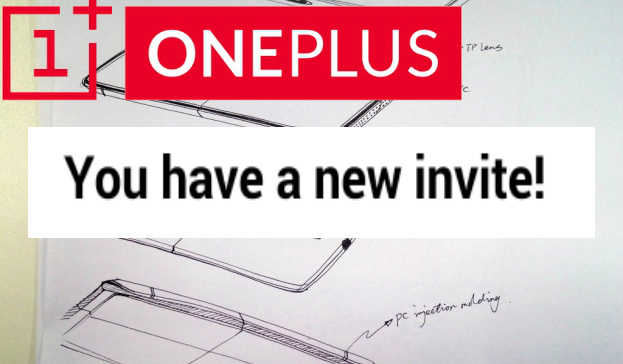 With this invite release comes a possibility for great news for Australian Ausdroid readers who are also OnePlus One fans. Stay tuned to Ausdroid in the coming days for an exciting announcement. In the meantime continue to check your inbox in case an invite hits your inbox. If it does, feel free to tip us regarding your buying experience. Did you receive an invite? Know someone who did? Are you waiting for an invite? Same here. My Nexus 5 still trucking along nicely but I like changing it up.